All classes meet at the Rialto Theater’s Devereaux Room (second floor at 222 4th Street). Art supplies are provided. One drink ticket for wine or beer provided. * Additional drinks and food will be available for purchase. *Must be 21 to receive a drink ticket for beer/wine. $50 each ($40 for museum members) Except where noted. Using this newly popular and breathtaking art medium, make beautiful postcards and frameable art with alcohol ink. 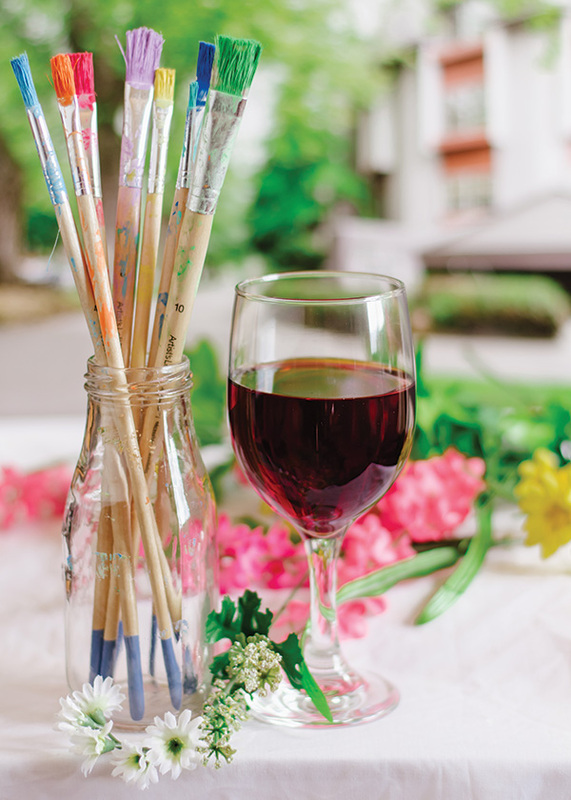 Have a glass of Merlot (or other wine/beer) while you paint like Monet. We will use a large canvas and lots of acrylic paint to pallet knife impressionistically.